We continue our routine of spaying and neutering the pets of the needy and free-roaming cats and adopting rescued animals, mainly through our monthly live adoptathons, advertisements, and Petfinder. By December 31, we spay and neuter 959 animals who would not otherwise have been sterilized, bringing our overall total since starting work in Tillamook County to 4,368. Of these, more than 300 are free-roaming cats. 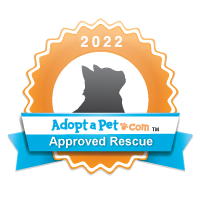 We adopt out a record 218 cats and dogs during the year. Despite the wretched economy, which is reflected in a diminished grant income, we raise a record $78,471. That means that private donations, fundraisers, and bequests are all up, which is a positive sign once again that we are accepted in our community as a group with integrity that gets things done. 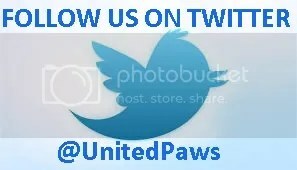 In January, United Paws re-launches the pet emergency fund, renaming it “Annie’s Fund.” United Paws first established this pet emergency fund in 2007 to care for Lieutenant Dan, a cat whose paw had to be amputated after being caught in a steel-jaw leg-hold trap. At that time, we offered any business or member of the public the chance to name the fund if they donated a certain amount. At last a generous donor came forward and requested that the fund be named in memory of her mother. Throughout 2010, Annie’s Fund spends $9,000 on the emergency treatment of animals who would have suffered in pain without our help. The Wheeler Dealer store closes and generously donates all leftover merchandise to United Paws. Volunteers stage successful rummage sales in several towns. In April U.S. Bank of Tillamook holds a car wash to benefit United Paws. In addition, home bakers put together tasty human and dog treats for sale at the car wash. All proceeds totaling $510 go to the animals. The Neuter Scooter returns to Tillamook in May and spays/neuters 48 cats and kittens in one day. In the middle of the year, a new volunteer with graphics expertise re-designs our logo! A generous supporter offers a matching grant of $3,000 in June, as long as United Paws can match this amount from donations during June and July. Our supporters not only match this, but exceed it by $8,773! The annual Netarts rummage sale returns this year, netting almost $2,000 for the animals of Tillamook County. Following on from the first annual Muttzanita at Manzanita Festival (voted by the North Coast Citizen as one of the top 10 stories of 2009), the second Muttzanita Festival is again organized by Tillamook County’s best friends of dogs and cats, pet boutique Four Paws on the Beach, Manzanita, with the invaluable assistance of North Tillamook Rotary. This year’s event is an even greater success than before, and United Paws receives more than $2,500. An added bonus is a visit from Duke, formerly Roan, the Viszla-mix dog found starving and terrified near Netarts beach, whom United Paws, with the veterinary skills of Dr. Henkel, Tillamook, saved from death. Adopted by a Portland couple with a home also in Manzanita, Duke came to say “Hi-Woof!” at the Festival. Standing proud and with flesh on his bones, Duke was a far cry from the cowering, emaciated dog United Paws had rescued at the end of 2009. United Paws is sickened when a cat is found in August shot through the eye, the bullet exiting her mouth. A United Paws volunteer, expert in humanely trapping cats, rescues the animal and rushes her to Dr. Cameron, Pioneer Veterinary Clinic, who finds maggots in her mouth, indicating that she must have been shot days before. The cat could neither eat nor drink, and we sadly authorized her euthanasia. United Paws doesn’t take euthanasia lightly. If any animal can survive and enjoy a quality of life, we do all we can to save her or him. But this cat’s torment and agony had already been too much for too long, and it was judged to put her back together again would cause unacceptable pain and distress. United Paws hits the headlines when, in no time at all and thanks to the outrage of our supporters and partnership with the Humane Society of the U.S., we offer a reward of $5,000 for information leading to the arrest and conviction of the shooter(s). While some members of the public are disgusted by such a high reward for a stray cat – “not even a pet cat,” they protest — United Paws on the other hand is heartened that so many people are willing to put up so much money to ensure justice for a friendless stray. We make Portland television news and hope our message is heeded – that just because an animal has nobody to defend her does not mean some sick person can use her for target practice, which is illegal in all 50 states. In fact, it is precisely because she is defenseless and unloved in life that we do all we can to ensure she is not forgotten in death. Unfortunately the shooter is still at large. A suicide-murder tragedy in Manzanita in September nevertheless has a happy ending for the couple’s cats. When the residents of Manzanita notice a local shop stays closed over Labor Day weekend, law enforcement is alerted and finds the couple dead in their Manzanita home, apparently a murder-suicide. Officer Jamie Broome cannot catch the cat he spots in the house, so calls upon United Paws for help. One of our most experienced trappers soon catches Miz Allie and takes her to another volunteer to foster. We then hear that the couple had 2 cats! So the hunt is on for George, one of those cats who hides when company comes. While neighbors are looking outside the house for George, United Paws wonders if George could still be inside. Concerned Officer Broome gets permission from the family to re-enter the house, and sure enough there is George. Miz Allie and George are reunited in one of our best foster homes, where they recuperate from their trauma. A special appeal for a new home is launched. A neighbor from the couple’s Portland neighborhood reads about the cats in the Headlight Herald and contacts United Paws. Long story short – George and Miz Allie are back in their old stomping grounds in Portland together in a super home. United Paws is nominated for the Oregon Governor’s Volunteers Award. Letters of recommendation come from Commissioner Tim Josi, TLC Federal Credit Union, the Pioneer Museum, and local veterinarians. The Headlight Herald’s yearly “Women of the North Coast” supplement features a United Paws volunteer along with 7 other women. Three supporters make generous donations of a quilt covered in colorful crazy cats, a hand-made clay bowl, and a professionally framed photograph of free-roaming cats to help United Paws raise vital funds for spay/neuter. We shall be holding the drawing to coincide with National Spay Day, February 22, 2011. The Headlight Herald again features a United Paws’ volunteer’s article about the necessity for this raffle as its guest commentary. United Paws is again asked to participate in the Fred Meyer sidewalk sale. In December, United Paws is featured in the “No More Violence” ad campaign by the Women’s Resource Center, highlighting the link between animal abuse and domestic violence. The ad runs in many publications along the coast. United Paws is hopeful more residents of Tillamook County will report animal abuse to law enforcement. For the second year, volunteers once again staff the United Paws booth at the Christmas Alternative Fair on December 5 in Manzanita, bringing in more needed dollars and meeting new friends. Four Paws on the Beach organizes a photo op for all good dogs and cats with Santa on December 18, all proceeds going to United Paws. The Hope Chest, Nehalem, and the Eugene Schmuck Foundation, Manzanita, both donate much needed funds to the United Paws’ cause. Last, but never least, TLC Federal Credit Union once again pays for United Paws’ liability insurance for the year. United Paws is deeply grateful for the support of local enterprises.